The mandate includes complete brand strategy and communication, and will be managed by the agency's Bangalore office. Ruosh, a premium footwear and accessories brand, has recently awarded its creative duties to Famous Innovations. The mandate includes complete brand strategy and communication, and will be managed by the agency's Bangalore office. GV Krishnan, CEO South, Famous Innovations, says in a press release, "I am humbled and gratified by the confidence and faith Mohini and Snigdha have shown in us. RUOSH is uniquely poised in the Footwear category with its superior offering of shoes and leather products. Their timeless and style-forward designs, attention to comfort, and engaging end user experience all add up to create a brand with tremendous potential, which we can't wait to unlock." Mohini Binepal, co-founder and head-retail, Ruosh, says in a press release, "With Famous, we have a partner who understands our business and brand vision. RUOSH has grown in volume exponentially, added geographies, new channels and now expands to different categories. 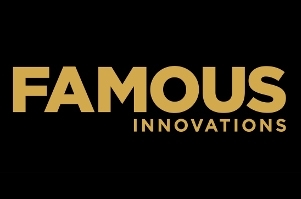 We are sure Famous can be the brand communication custodian we have been looking for, who will not only maintain but extend our brand DNA responsibly. Snigdha Singh, head brand communication, Ruosh, says in a press release, "As a brand, we have truly believed in delivering effective communication. With Famous Innovations on board, we are sure to strengthen that effort & deliver unparalleled creative content which also drives business results."